We have raised funds for the reconstruction and repair work of ~1,900 houses. Currently, ~350 houses are ongoing construction in 6 provinces across the Visayas, over ~200 units of which are in Leyte. The first Yolanda community to rise from the aftermath is in GK Tanauan, Leyte, with no less than President Aquino visiting as part of EDSA’s 28th Anniversary Celebration. This coming April 12, we will be turning over the very first (!) permanent shelter units to 20 families at our Brgy. Pago site in Tanauan, Leyte. We expect no less than an additional 100 units (Ormoc & Tanauan) to be turned over by end April, and for the rest of the 1,600 funded homes to be completed by third quarter 2014, given good weather conditions. We have conducted roof repairs on ~220 houses, implementing 70% of the funding support we’ve received for the program. Concentrated in Iloilo and Negros Occidental, these are various homes (including some previously built GK houses) that have remained upright and continue to be livable as long as roofing is restored. We have identified and/or secured ~2,000 home lots in safe zones, where we can construct houses and relocate families permanently. We consider this an achievement, as land availability is coming out to be the single, most complicated bottleneck for many reconstruction timelines (not only GK’s). What worked for us is the “land banking” we’ve done through the past 10 years – many of the sites we’ve identified are existing GK communities that still have space to accommodate new families. Our deep relationships with many of the Local Government Units and local citizens have also allowed us to identify properties that can be bought or donated as new relocation sites. We have built and distributed 570 GK Balangay boats to fishermen, replacing the “tools of the trade” that were damaged away by Typhoon Haiyan. This helps them get back on their feet by providing a steady income stream and restoring a sense of normalcy in their lives. We are raising ONE MILLION VOLUNTEERS to help rebuild Yolanda-affected this summer through GK’s annual, massive-scale volunteerism event called the Bayani Challenge. This widespread presence of volunteers throughout Yolanda areas this summer will not only help us rebuild faster, this is also our way of bringing concrete hope and showing the victims that they are not forgotten, and that we will not leave them behind. 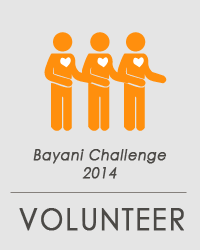 To register and get more details, visit www.bayanichallenge.com. 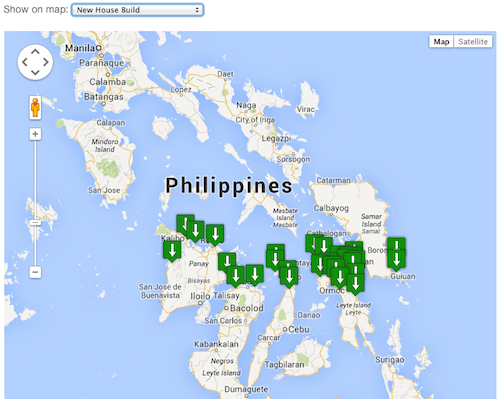 The lifeline map shows the various GK activities related to Yolanda/Haiyan relief and rebuilding. 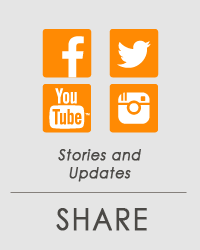 Search by location or category to find the latest updates and/or how you can help by contributing or volunteering. Select a point from the map on the left then click 'View Data' to fetch information. 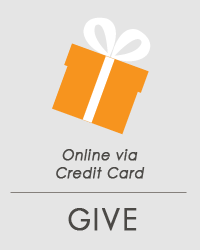 To go to the Lifeline Mapping page, click HERE. Typhoon Yolanda (Haiyan) is the third major crisis Philippines has had to face in the last 3 months. It was preceded by an earthquake in Bohol and an armed conflict in Zamboanga, also resulting in a loss of lives and displacement of thousands of families. GK is resolved to include them in the plans and campaigns for rebuilding.